Chunky Indian Soup Recipes, Veg Chunky Soup recipes. These soups are usually semi-thick and have chunks of vegetables, beans or noodles that play with your taste buds! 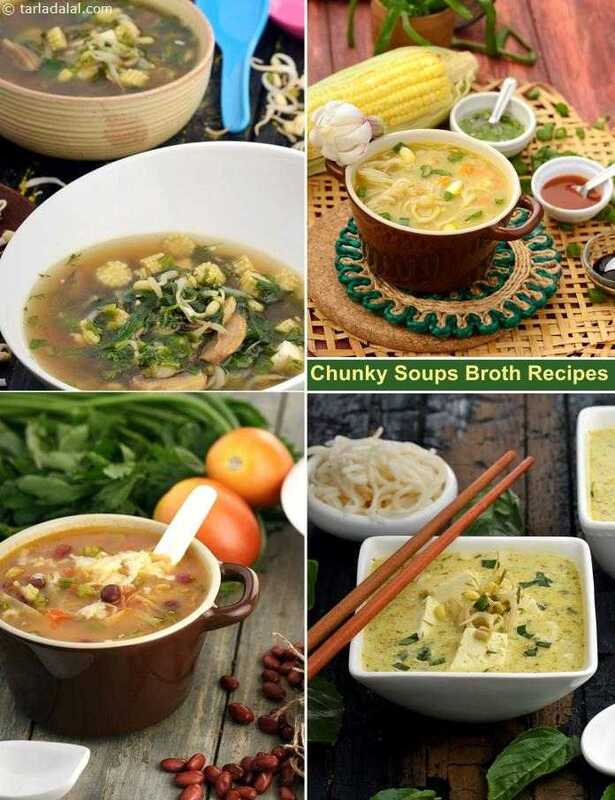 Soups like Corn Chowder, Manchow Soup, Cream Style Sweet Corn Soup, Nourishing Barley Soup and Hot and Sour Soup are quite filling, and have a very satiating texture too. Enjoy our Chunky Indian Soup Recipes, Veg Chunky Soup recipes and other soup recipe articles below.